Hardcover, 9 x 10.5 in. / 256 pgs / 225 color. 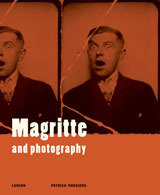 Published in conjunction with a major exhibition organized by The Museum of Modern Art, New York, in collaboration with The Menil Collection, Houston, and The Art Institute of Chicago, Magritte: The Mystery of the Ordinary, 1926–1938 focuses on the breakthrough Surrealist years of René Magritte, creator of some of the twentieth century’s most extraordinary images. 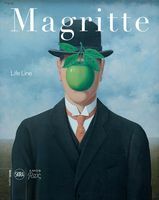 Bringing together nearly 80 paintings, collages and objects with a selection of photographs, periodicals and early commercial work, it offers fresh insight into Magritte’s identity as a modern artist and one of Surrealism’s greatest painters. 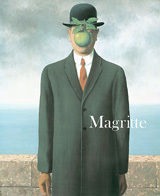 Beginning in 1926, when Magritte first aimed to create paintings that would, in his words, “challenge the real world,” and concluding in 1938--a historically and biographically significant moment just before the outbreak of World War II--the publication traces central strategies and themes from this seminal period, particularly those of displacement, isolation, transformation, metamorphosis, the “misnaming” of objects and the representation of visions seen in half-waking states. The publication also includes an illustrated chronology outlining significant moments in the artist’s life during this period, including travel, connections with other Surrealist artists and writers, contributions to journals and important exhibitions and reviews. 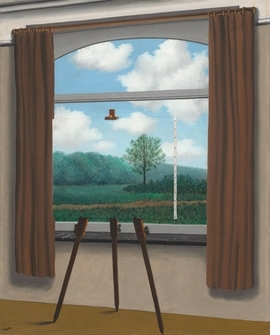 Featured image, "The Human Condition" (1933), is reproduced from Magritte: The Mystery of the Ordinary, 1926-1938.
" Magritte: The Mystery of the Ordinary, 1926-1938" focuses on the years when Belgian artists produced some of his most important Surrealist paintings. Highlights include The Menaced Assassin (1927), a macabre scene of lust and murder that blurs dream states and reality. The name Rene Magritte (1898-1967) is widely recognized by art lovers and agnostics alike, and for good reason: He utterly transformed our expectations of what is real and what is not. 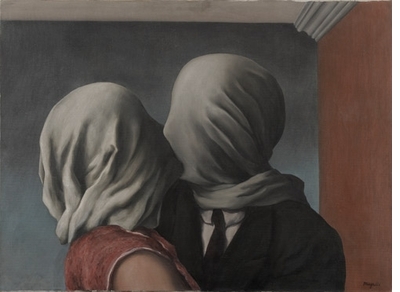 When someone described something as "surreal," or recalls a dream, chances are good that the images in his or her head have been informed, consciously or not, by a Magritte, seen either in reproduction or in person. [...] From the get-go, Magritte's intent was to undermine our perceptions of reality by using the conventions of realism: first throught odd juxtapositions of figures and items within traditional illusionistic space; next, by seamlessly morphing together textures and objects; and finally, by deploying language itself to decouple imagery from its representational function - most famously in his painting of a pipe above the legend THIS IS NOT A PIPE. 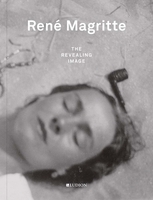 Featuring works from more than 50 collections, this exhibition catalogue reproduces and contextualizes René Magritte's development as a surrealist artist from 1926, when he began his quest, until 1938, when he presented a lecture that summarized his accomplishments in this genre. 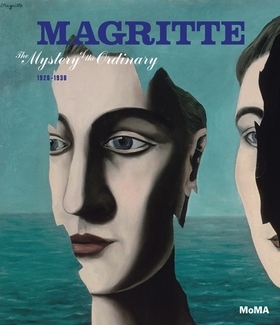 The introduction explains Magritte's cubist work prior to 1926 and explores how the artistic influence of Giorgio de Chirico and Max Ernst shifted his work toward surrealism. The catalogue proper and four additional essays divide the 13-year period into segments based on the artist's physical location--from Brussels to Paris, back to Brussels, and finally to London, where he completed commissions for Edward James. 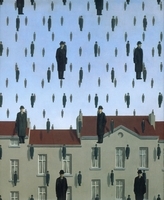 Contributors focus on Magritte's development of specific techniques to make ordinary objects seem unfamiliar. These included recontextualization (placing an object into a location where it would not normally be found), metamorphosis (the visual transformation of one object into another), and deliberate mislabeling (creating a disjunction between visual objects and their textual names). 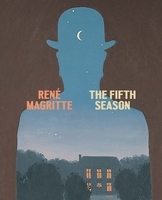 While this book does not replace the five-volume catalogue raisonné, it provides a reasonably priced alternative containing both well-known and lesser-known works, including Magritte's work for periodicals ranging from Variétés and Le Centaure to La Révolution Surréaliste. Summing Up: Recommended. Lower-level undergraduates through graduate students; general audience. Edited and with essay by Patrick Roegiers. Essays by Lise Kaiser, Katrine Molstrom. Artwork by Jan Ceuleers. Contributions by David Sylvester. FORMAT: Hbk, 9 x 10.5 in. / 256 pgs / 225 color.